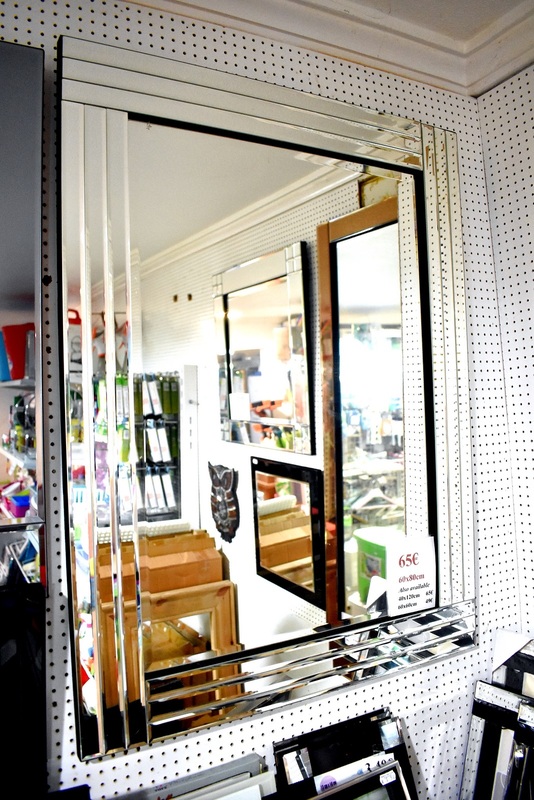 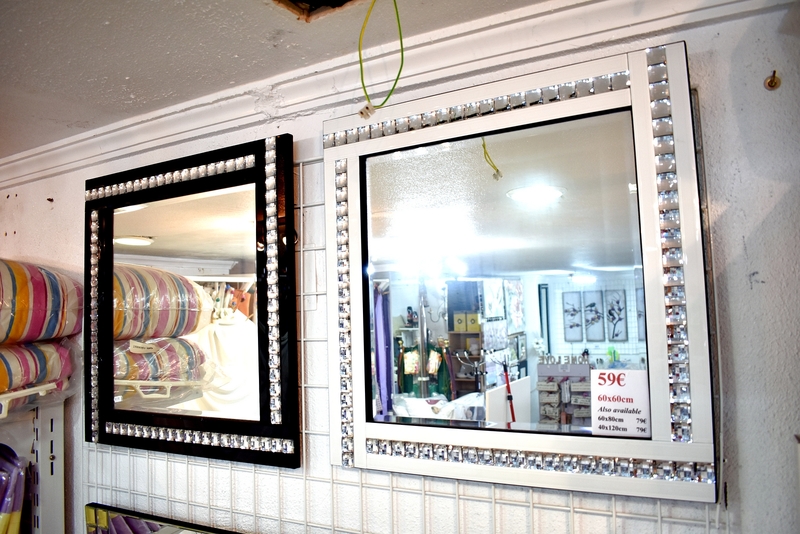 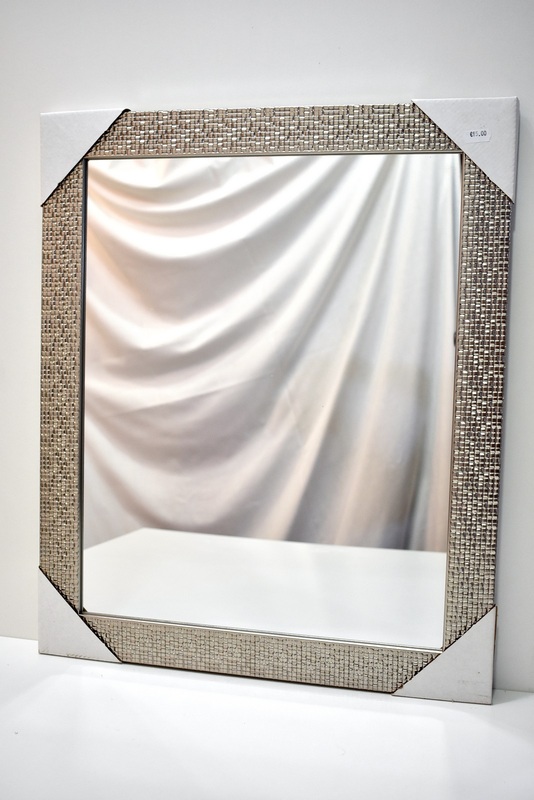 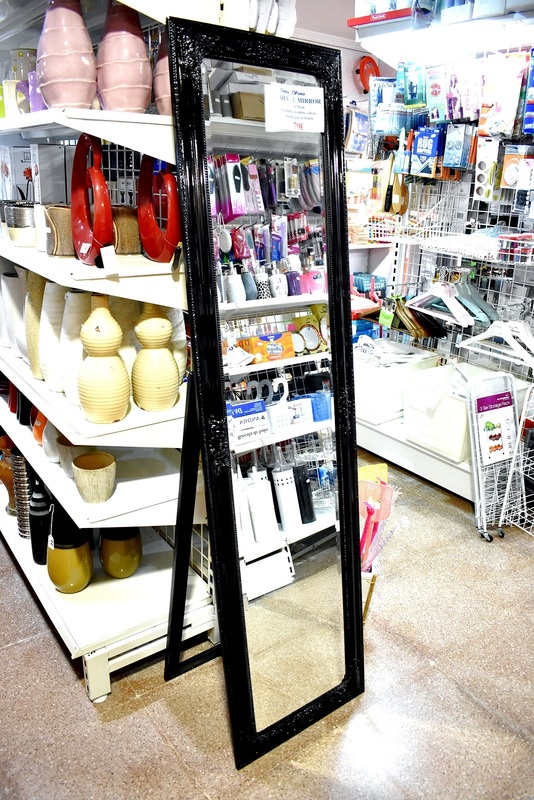 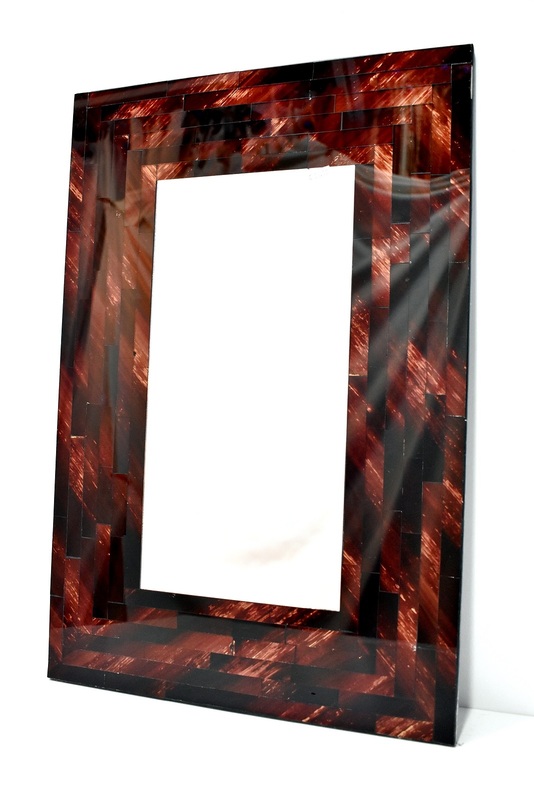 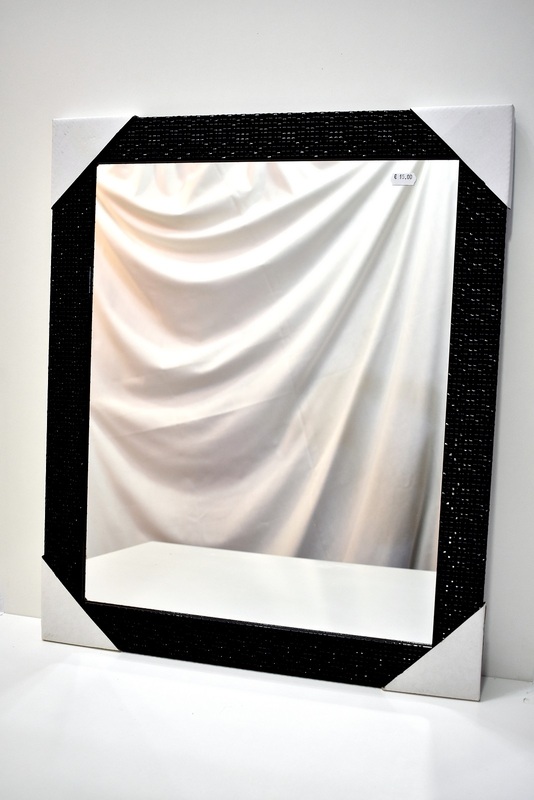 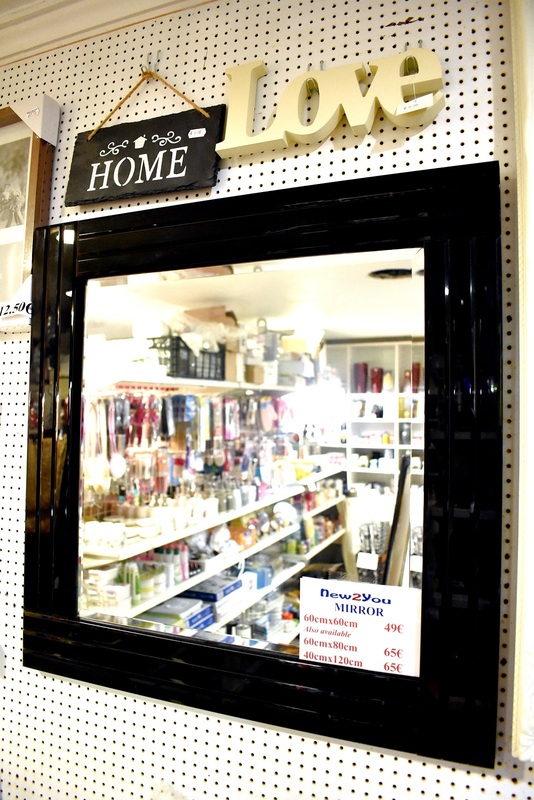 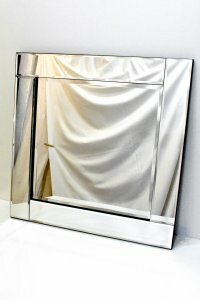 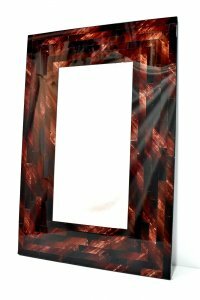 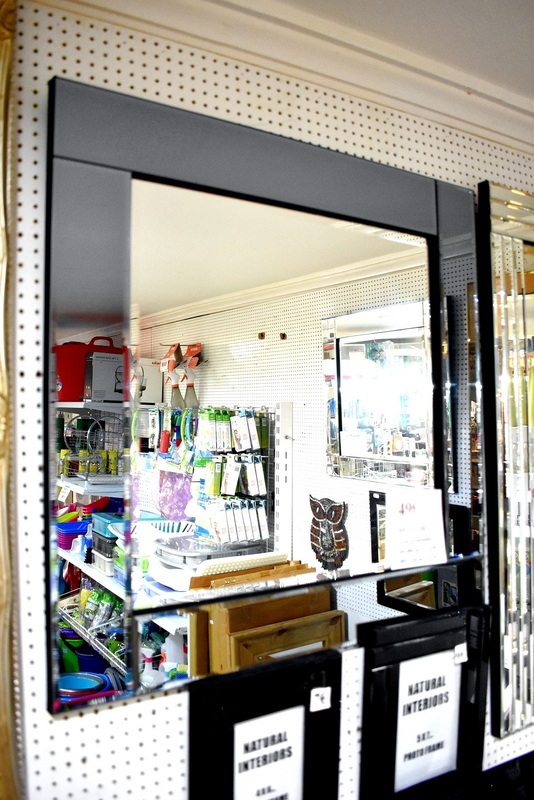 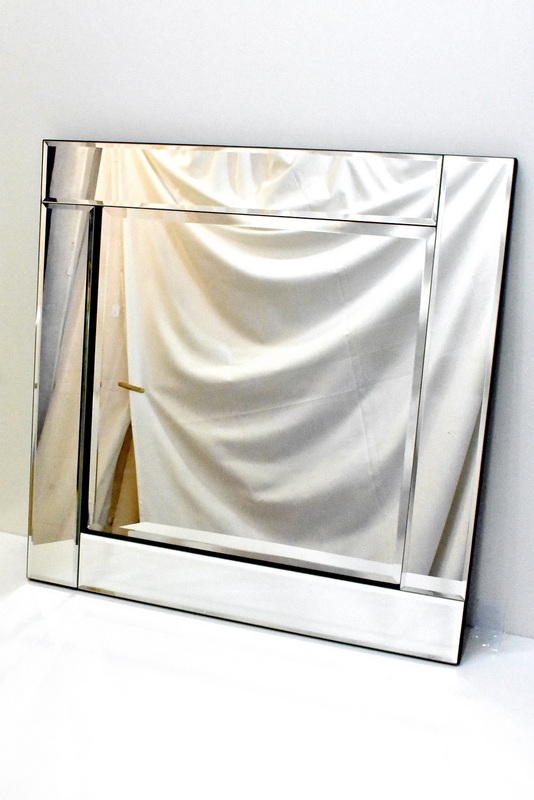 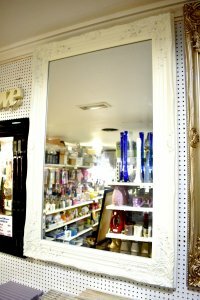 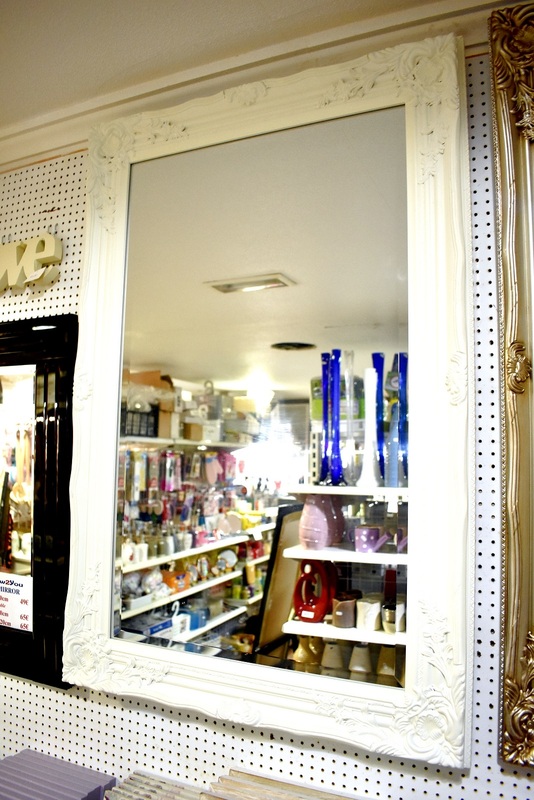 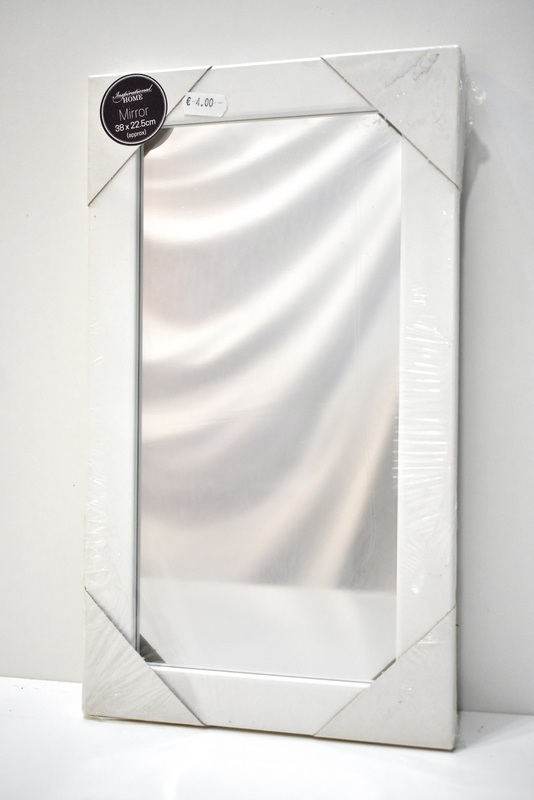 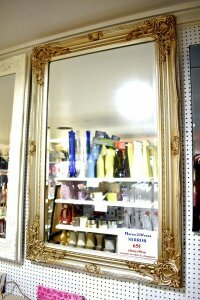 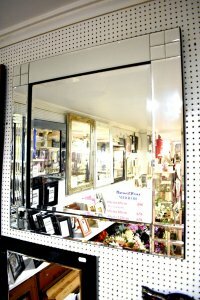 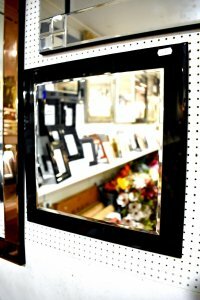 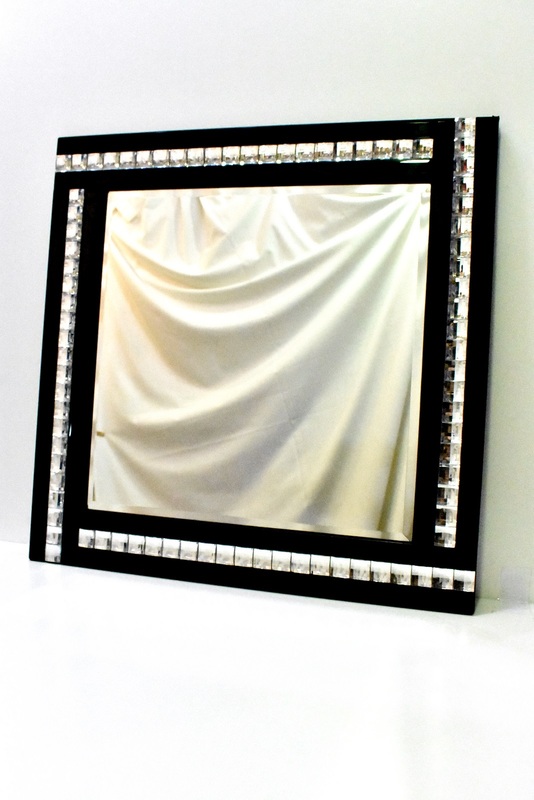 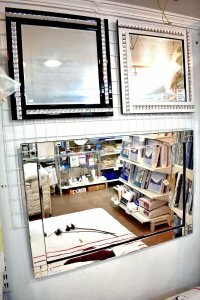 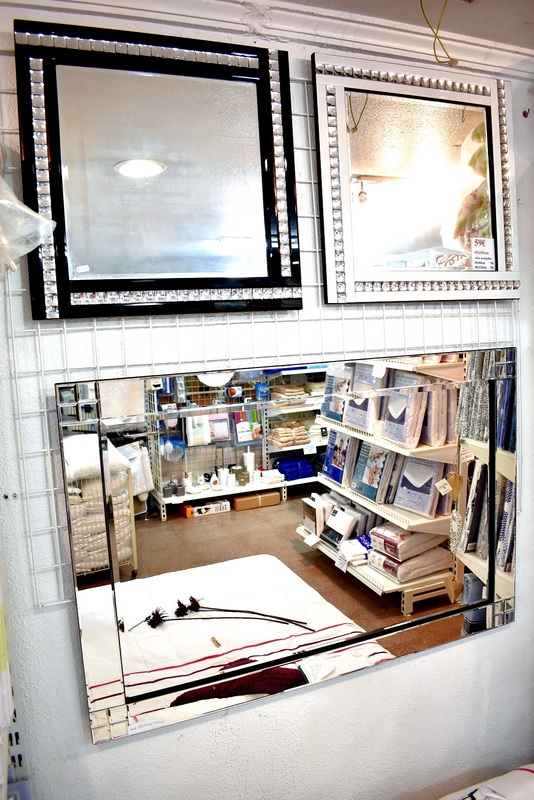 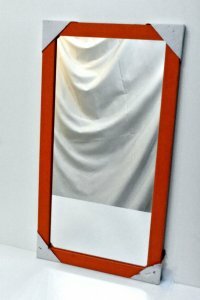 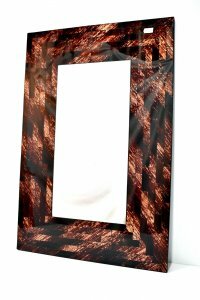 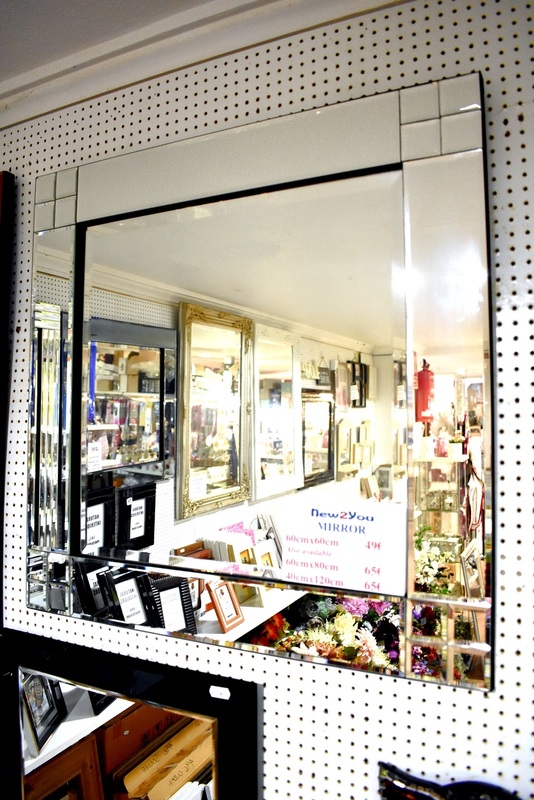 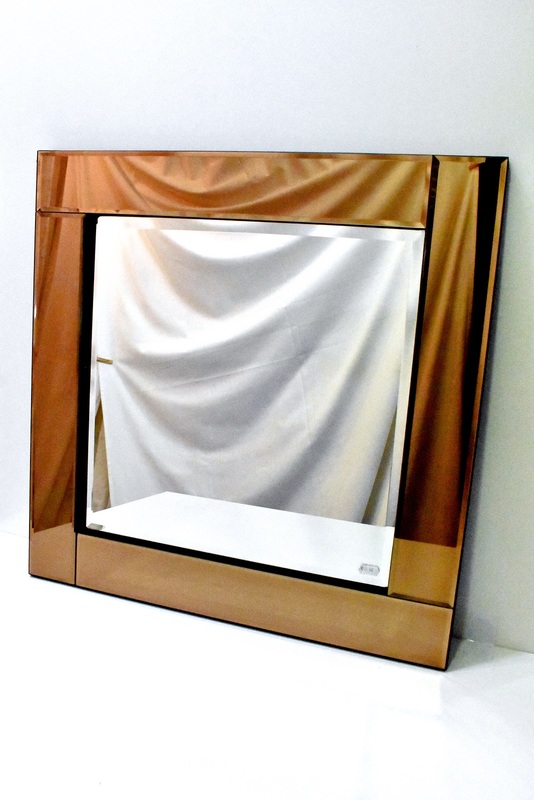 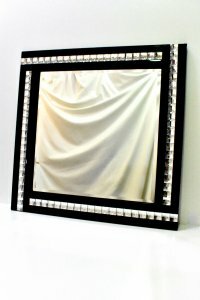 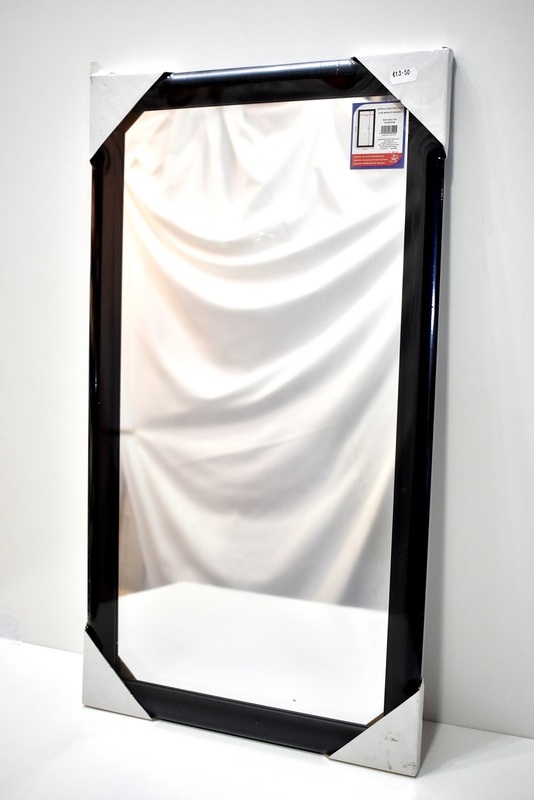 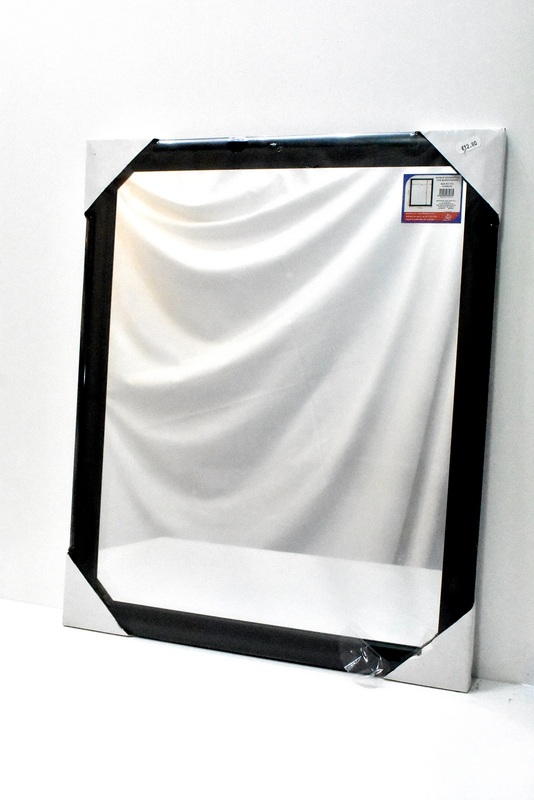 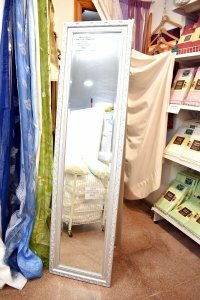 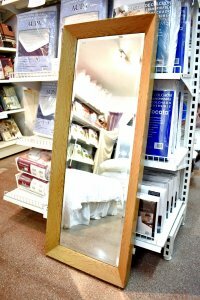 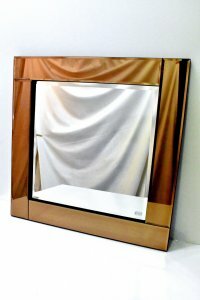 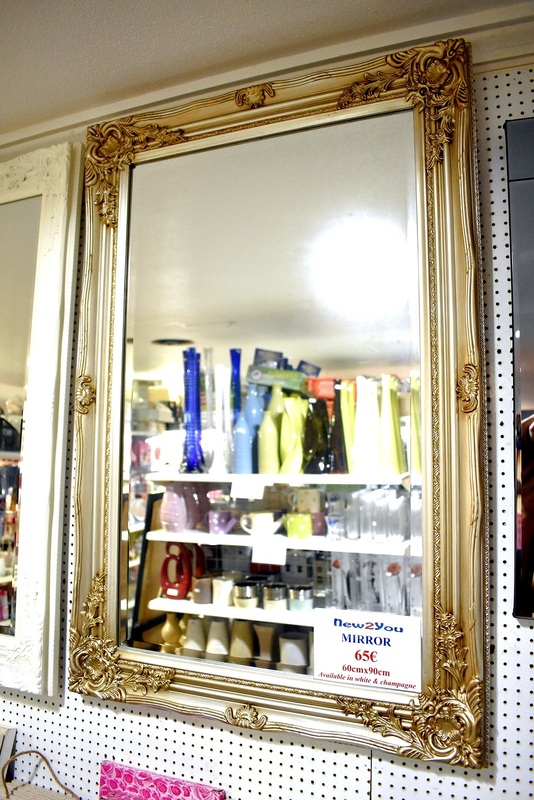 Glass framed Mirrors in 3 sizes and various designs including smoked glass, bling/crystal, plain glass which hang vertically or horizontally, available in the following sizes. 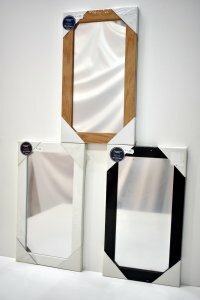 60/60 €49, 60/80 €65 and 40/120 €65. 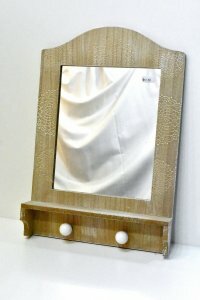 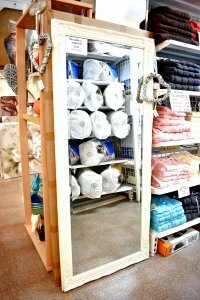 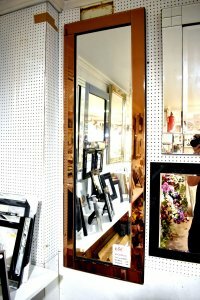 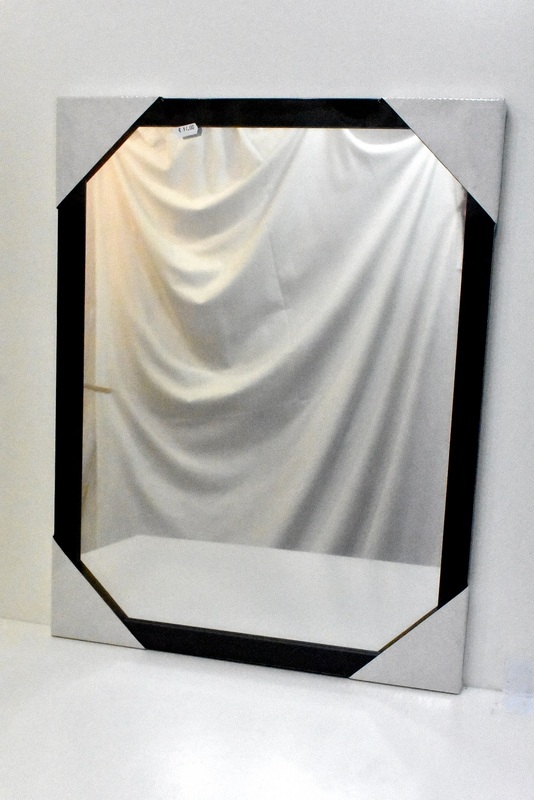 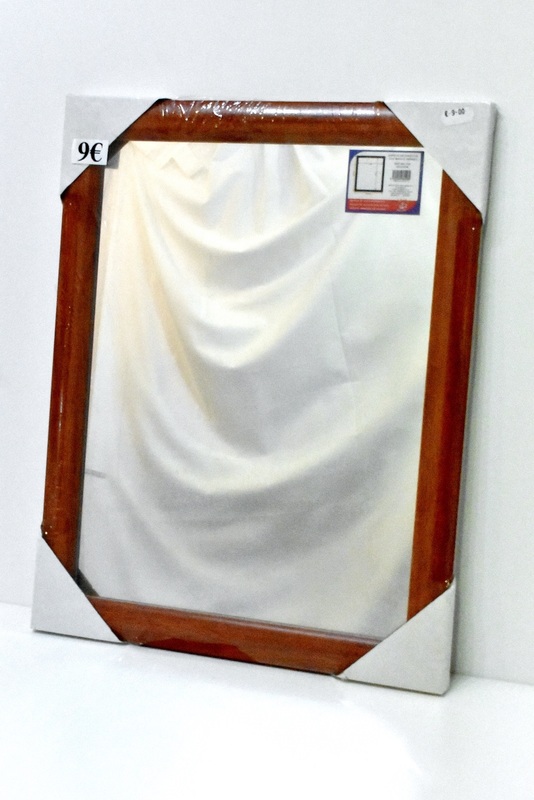 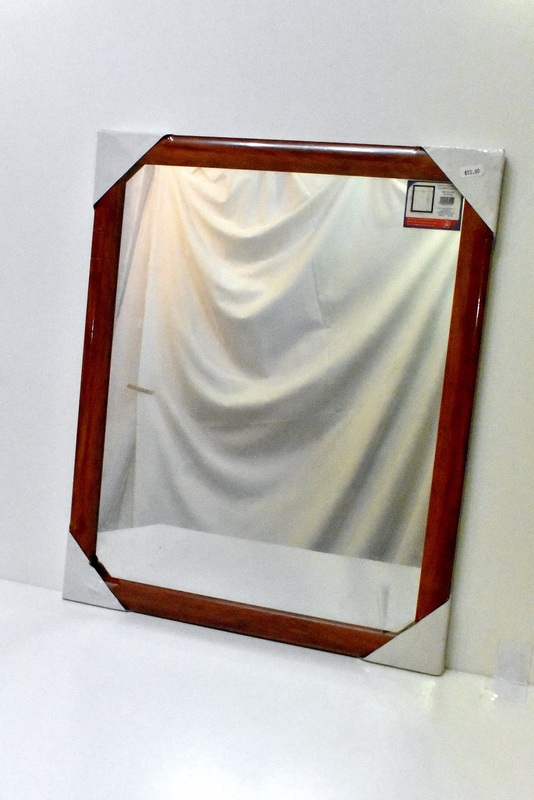 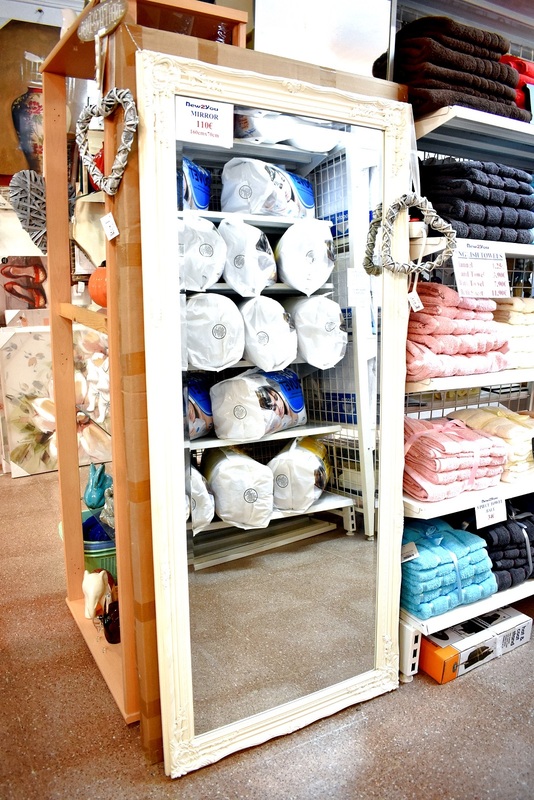 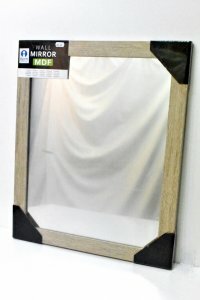 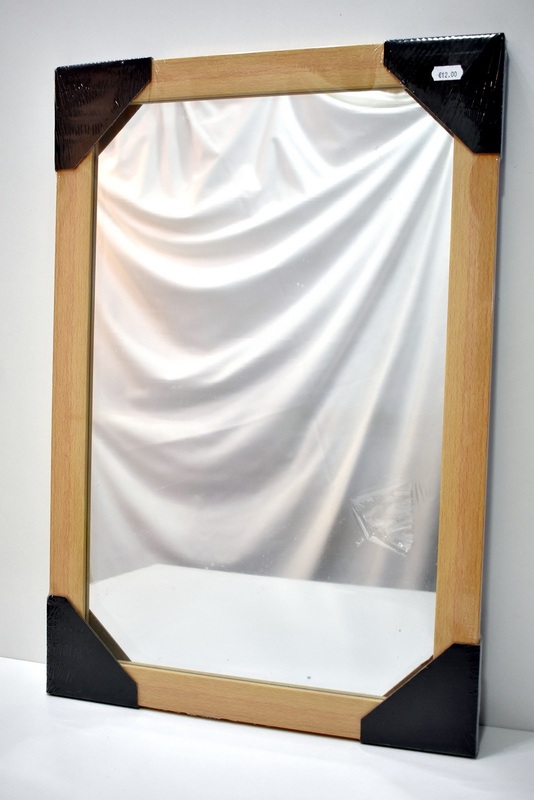 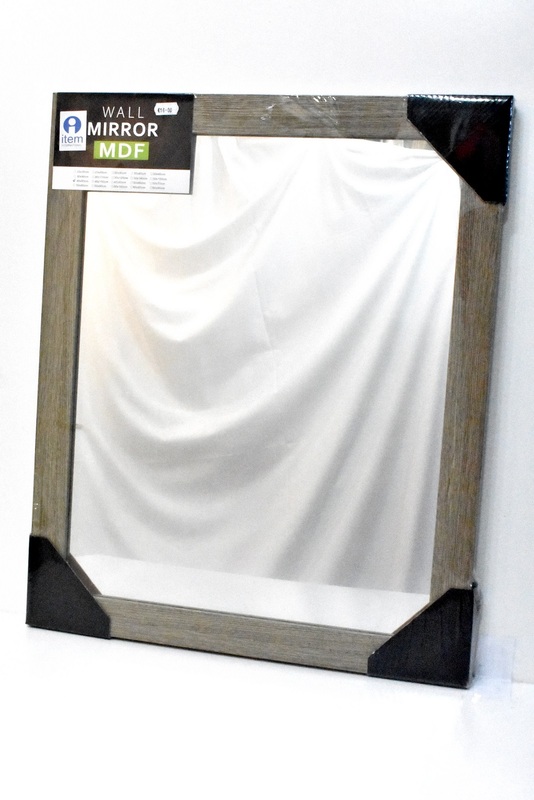 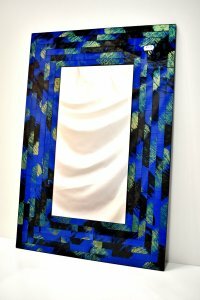 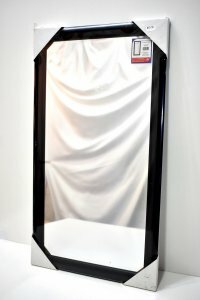 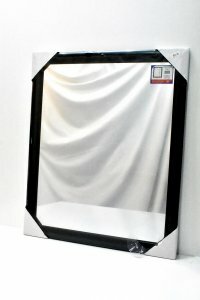 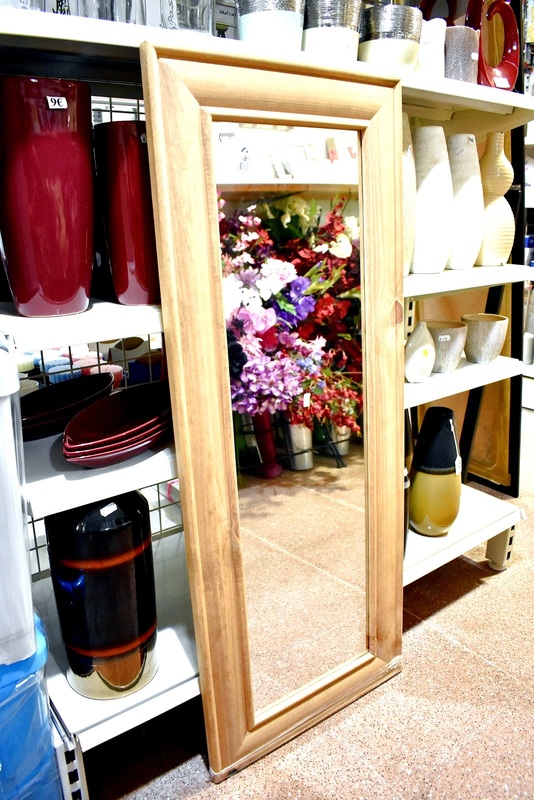 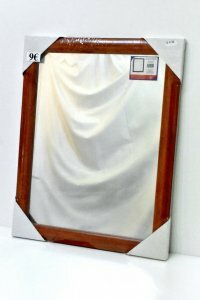 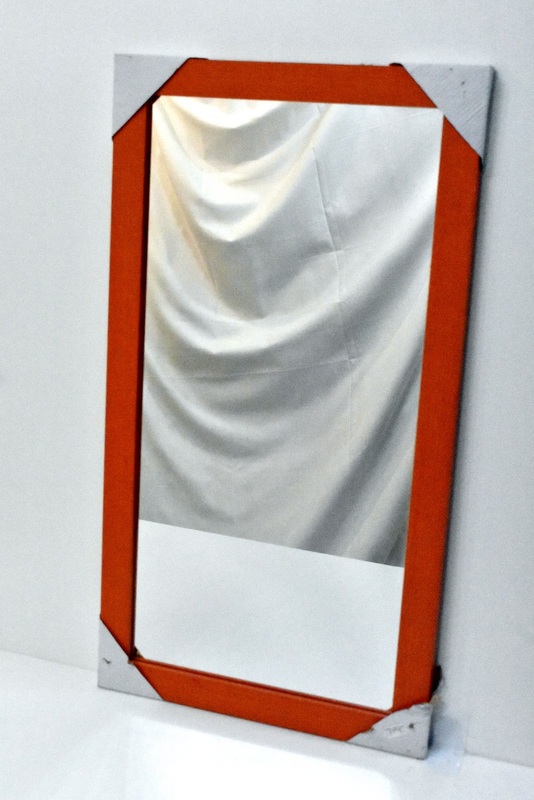 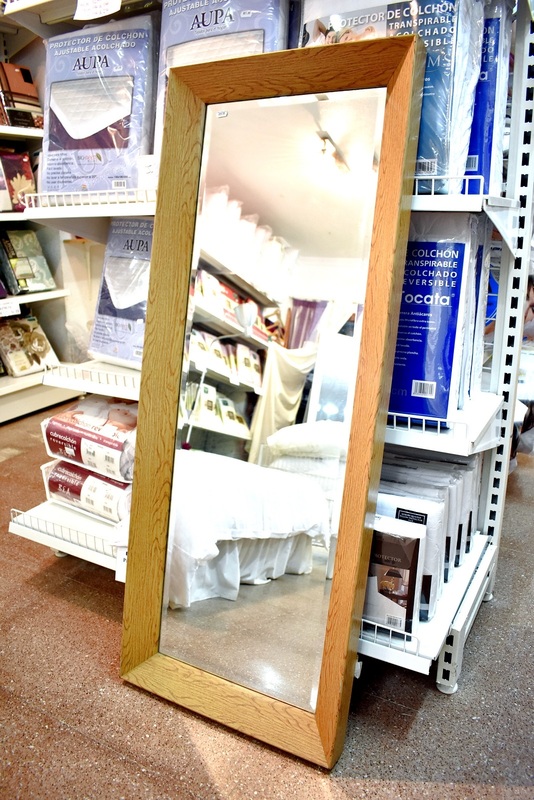 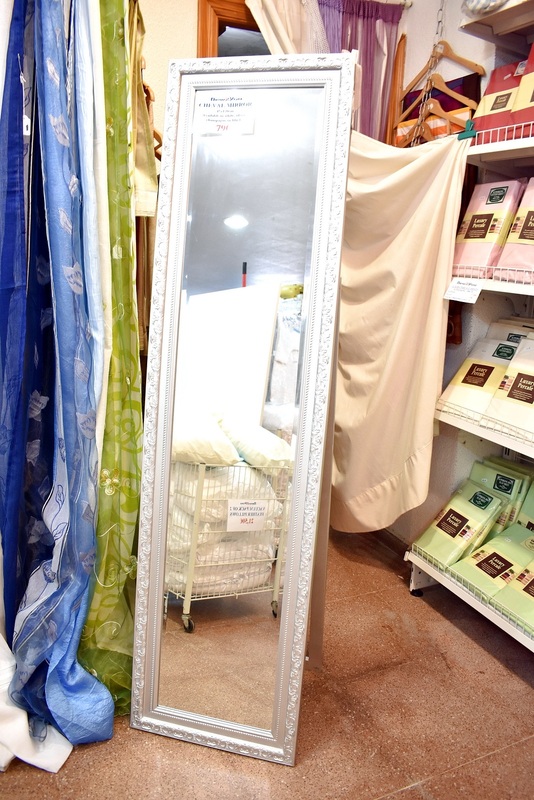 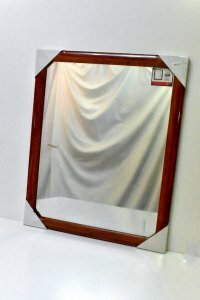 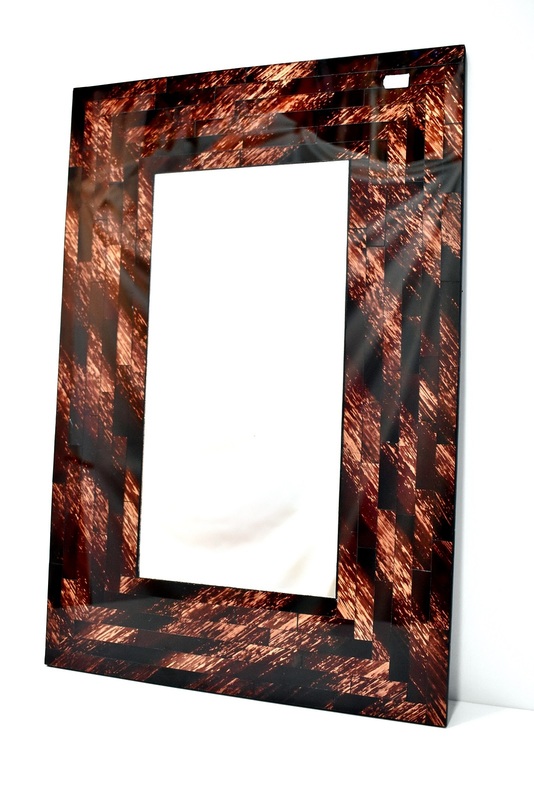 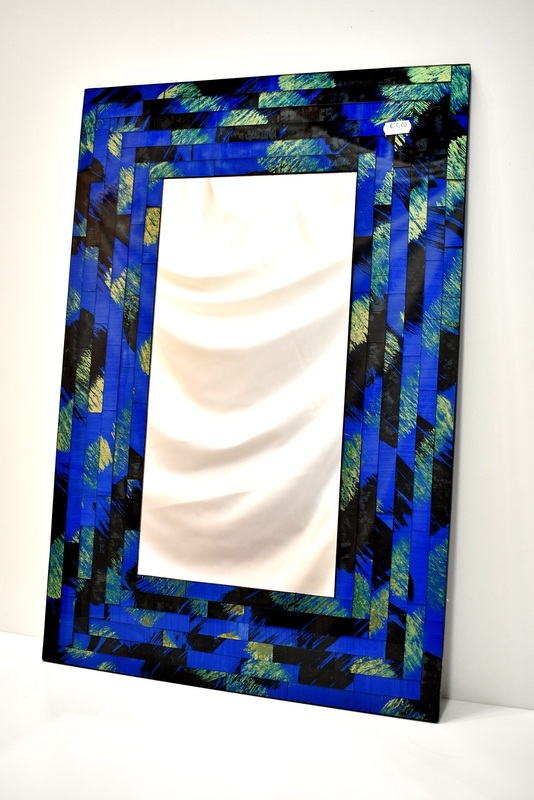 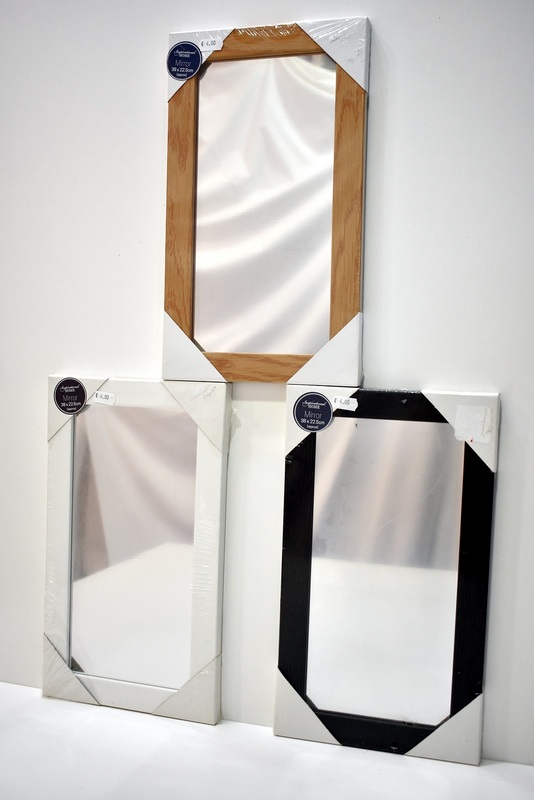 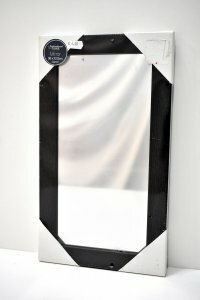 Wood Mirrors in 3 sizes and these colours, light, medium and dark wood, plus black, white, blue and purple. 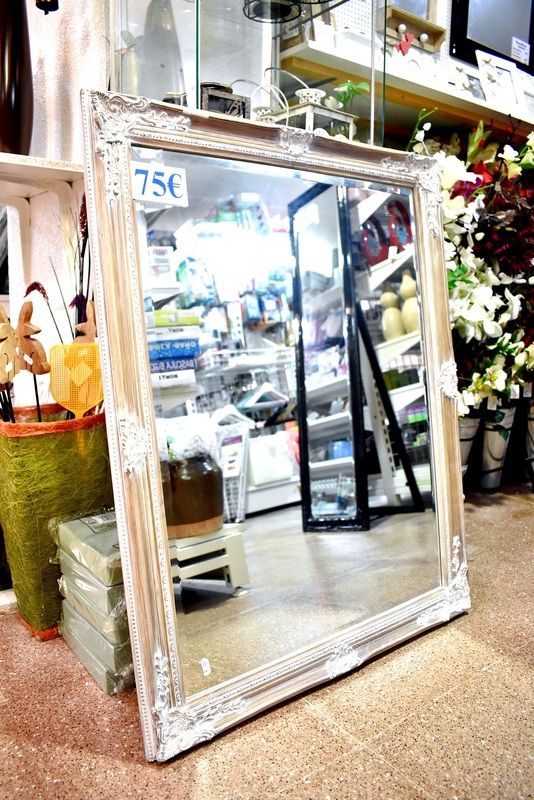 From €12.50.